Thanksgiving is just around the corner. 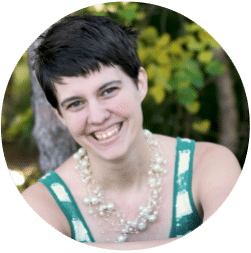 While it doesn’t usually get as much attention from kids as Christmas, it can still be a great holiday filled with lots of fun family memories. We’ve collected dour favorite thanksgiving activities and printables for kids all in one place so you can find them and choose your favorites to do with your family this Thanksgiving! One of the best Thanksgiving/November traditions can be done with this meal time thankful printable. For a fun game on Thanskgiving day, print out this adorable turkey matching game. I love the cute little animated turkeys! I love the idea of taking the entire month of November to make this thankful tree. If you didn’t start in time, don’t worry, you can double up each day until Thanksgiving! Another countdown to Thanksgiving idea is this thankfulness chain. By the last day you’ll have a pretty decoration and lots of reasons to be thankful! Take a small nature hike and collect some pine cones to make this adorable turkey craft. This is another pine cone turkey craft that incorporates real feathers and strips of paper with reasons to be thankful. This idea for a DIY thankful tablecloth will give you something to build on each year! I love the idea that you an track your child’s growth and their interests each year with this craft. Here’s another fun turkey craft you can make with juice boxes. This would be perfect for a preschool class party. These turkey toes candy gift idea would make another cute preschool party option. This feed the turkey counting game would make a fun classroom or playdate activity! Don’t forget about the traditional finger paint handprint turkey. This one would be fun to do annually. These turkey treat bags would also make a great party favor for school or to give each of the kids who attended the family gathering! If you want a fun activity to keep kids busy while they wait for the meal on the big day, this is a fun printable Thanksgiving word search. You could also print out a few of these Thanksgiving coloring sheets for each of the kids. For older kids, or adults print out a few copies of this intricate turkey coloring page. It’s gorgeous!!! Another fun craft idea is this painting with corn activity for the kids. Print out this fun Thanksgiving memory game for more kids activities at your gathering. 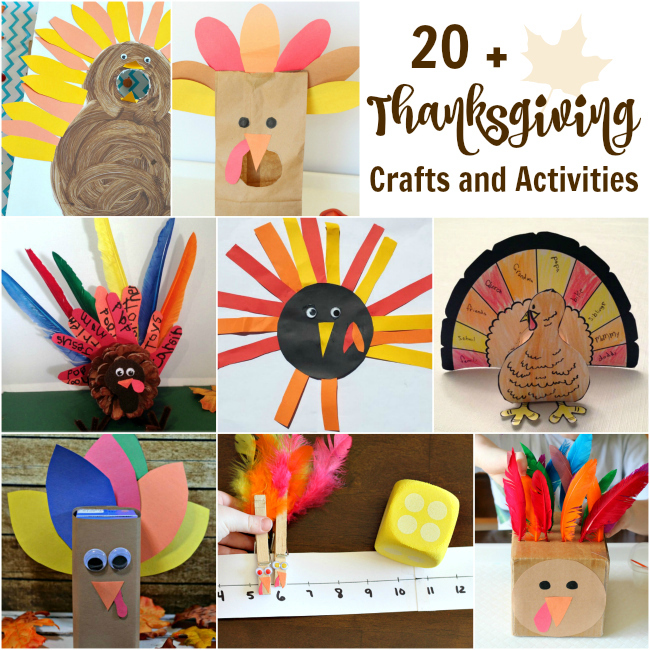 I love this adorable turkey craft made with construction paper. The kids would have so much fun gluing the little feather strips in place. Print out these activity placemats for each of the kids coming over for Thanksgiving. There are lots of activities and games for the kids to play on their own placemat. Another thanksgiving placemat option. This is an adorable printable word search! They use holiday themed words and looks like a fun challenge. This is a gorgeous printable turkey cutout. I love that it makes a 3D craft! You can get a version of the same turkey for the kids to color here. Make a fall leave garland to decorate your home for Thanksgiving. I love the painting affect they used on this. Show your kids how to make these cheery gratitude cards to send to love ones throughout November. I love the bright colors used on this, instead of just earth tones. Get cheap wine glasses and paint them into wine glass turkeys, these make gorgeous candle holders! This printable Thanksgiving mad lib would be fun to play over and over again with different members of the family. Another fun game for Thanksgiving day is this feed the turkey game. You can make it at home and have lots of fun playing together. This feather turkey box is a great fine motor activity for younger kids. It would be a great way to keep them busy while you watch the parade. These colorful turkey place cards would be the perfect addition to the kids table on thanksgiving day! Lastly, make these adorable thankful pumpkins with craft paper. They are bright, cheery and will look great all Fall long, not just at Thanksgiving time. 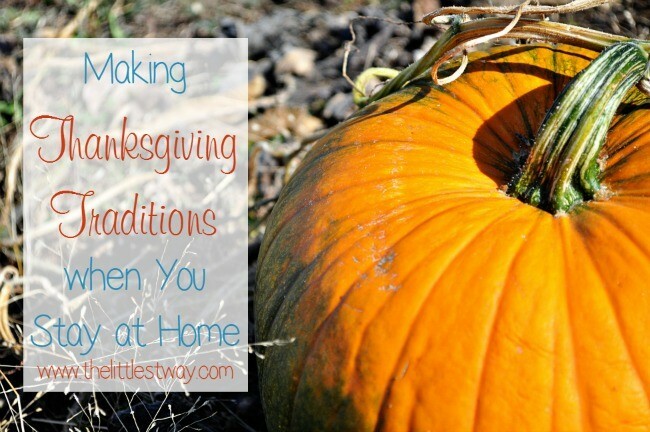 Craving more Thanksgiving fun check out these fun Thanksgiving traditions! 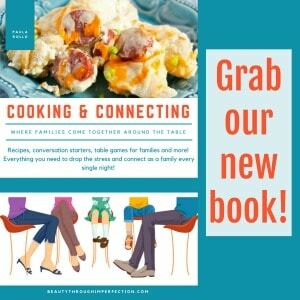 Check out these fun Thanksgiving books for kids from our affiliate. 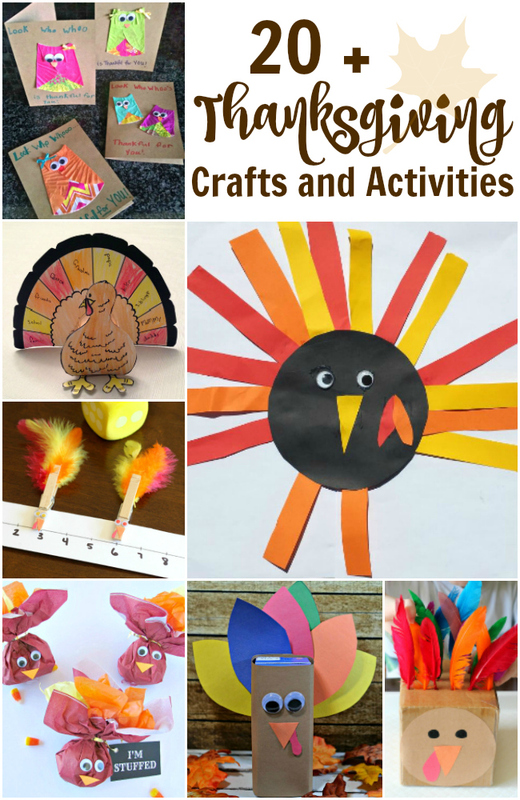 Hey Buddy!, I found this information for you: "Thanksgiving Activities and Printables for Kids". Here is the website link: https://www.beautythroughimperfection.com/thanksgiving-activities-printables-kids/. Thank you.